New Delhi, Feb 6: The JNU Sedition case is taking turns and twists every day. 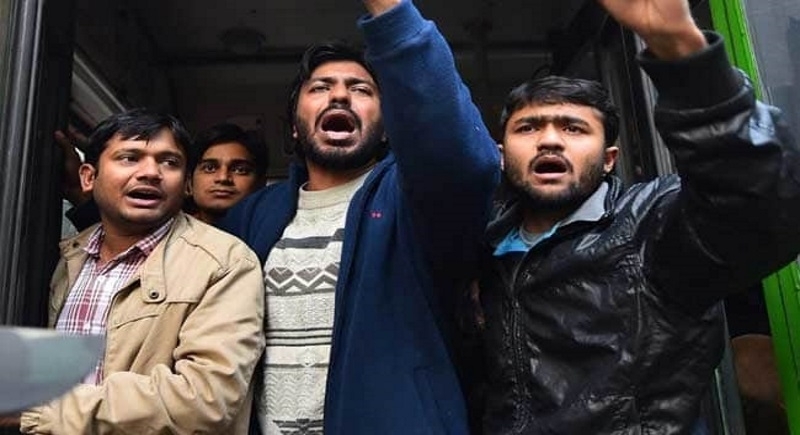 On Wednesday, Delhi Court gave time till February 28 to Delhi Police for acquiring the sanctions needed to prosecute former JNU student Union President Kanhaiya Kumar and others in 2016 Sedition case. While addressing the issue, Court said, “Authorities can’t sit on files for an indefinite time”. Delhi Police stated, the sanctions are pending with Delhi Government and are expected in a matter of a day. Court already questioned Delhi Police for filling the charge sheet against Kumar and other without procuring the requisite sanctions and allowed time till February 6. Delhi Police filed charge sheet against Kumar, Umar Khalid, and Anirban Bhattacharya in city court on January 14. This charge sheet said, Kumar was leading on the procession and supported seditious slogans during an event in the defense on February 9, 2016, to mark hanging of Parliament attack head Afzal Guru.